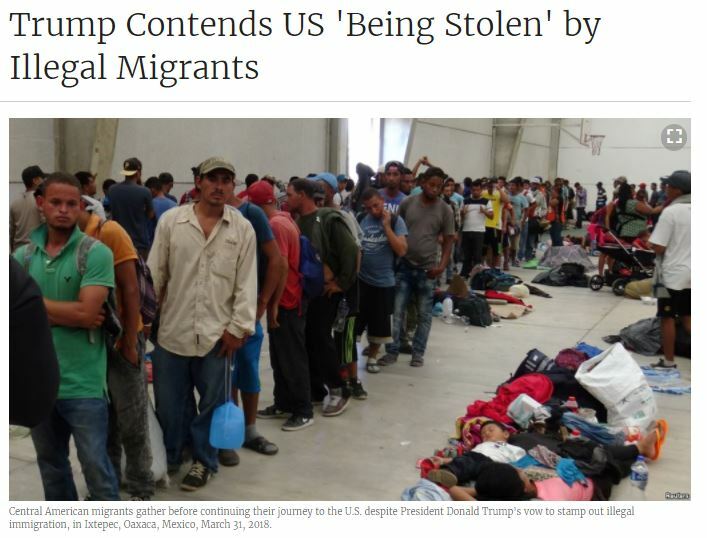 Trump is right … the country is being “stolen” … but the continuing threat of misappropriation is not coming from a group of protest marchers heading across Mexico to America’s southern border. No, not coincidentally, the quite real and ongoing theft of America has been happening posthaste behind the stupefying, lie-filled shitshow emanating from Trump’s flatulent mind on a daily basis. Even as we speak there is a staggering level of thievery being perpetrated by the gang of swamp things he’s installed at the EPA, at Interior, at HUD, at HHS, at the CFPB (ka-ching! ), at Education (ka-ching! ), at Energy and in the procurement office at the Pentagon. And, at the same time, it’s also been a pocket-lining free-for-all for the Trump kids, for the Kushners, for Wall Street, for Trump’s billionaire backers … and now even Saudi Prince Salman is getting into the act by touring America’s most moneyed hot-spots in search of even more cash for his ever-more personalized fiefdom. And that’s EXACTLY why Trump rings the racism bell over and over and over again … because his most devoted followers are many of the same rubes who were ripped-off by corporate America and the financial wizards of Wall Street from the day they voted for Bonzo Reagan … a decision many more of them reinforced when they rewarded Bubba Clinton for finishing Reagan’s revolution. These rubes are the very people who depend upon Trump to perpetuate the big, beautiful lie that the reason they cannot get ahead is because reverse-racists, a cadre of third-column immigrants and foreign evildoers in China and Mexico and Japan and Korea and Germany conspired to deprive them of their God-given right to violently consume the lion’s share of the world’s resources without ever having to say “I’m sorry” … or without ever having to pay the price for outsourcing their futures to America’s elite class of financial filchers. Dog whistling has proven to be the easiest way to keep them from facing the hard truth that they helped dig their own economic graves … and now, thanks to Pharma’s opioids, their own literal graves. Instead, they’ve dutifully acted like Pavlovian dogs as the dark bell of scapegoating was pealed every two and four years for most of the last six decades. In the meantime, the well-heeled Americans who’ve been the real culprits have not only gotten away scot-free, but have repeatedly returned to the scene of the crime to double-, triple- and quadruple-dip into a pool of diminishing returns. 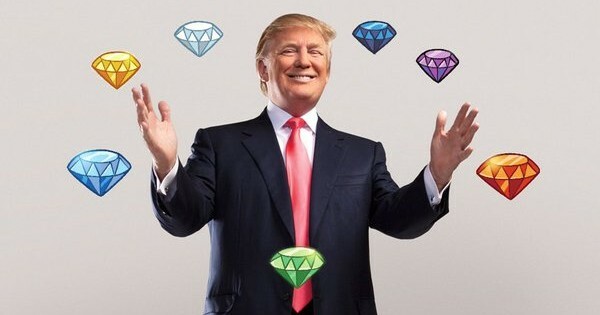 As a salve, they’ve finally offered up Trump … the ultimate shiny object to occupy our bedeviled minds with purposefully belligerent tweets while they finish the job they started three decades ago. But, in the meantime, are you not entertained? 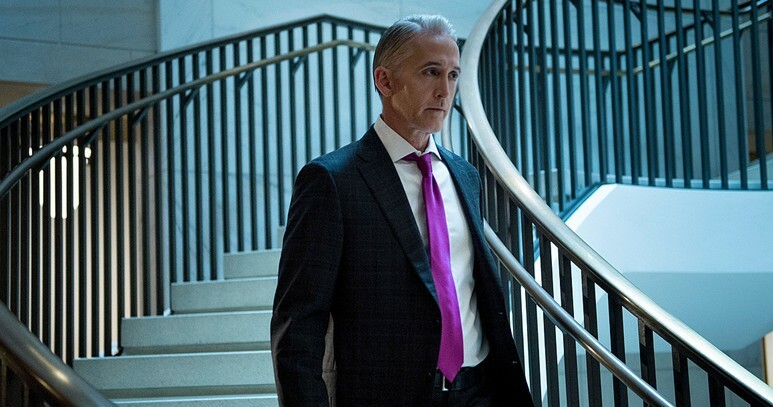 HOT TAKE: It’s Gowdy-Doody Time! To me the evisceration of morality–for which every American seems to have some degree of responsibility–is astounding. As Trump goes about scapegoating on would-be immigrants, a sequence of two stories in ABC’s news today shows how habitually we all scapegoat blacks. The first story is about a white boy who killed four people while–at sixteen–he was driving under the influence. He was given no prison time but was consigned to probation–seemingly on the premise he had not been taught right from wrong. He then fled with his mother to Mexico. When caught, he was then given some prison time for violating probation, but was released today and was driven away in a Tesla. Three stories later, ABC shows a video of a black man being pummeled by two policemen (faces not disclosed) in Fort Worth , one of whom is sitting on the back of the black man while the other officer holds the black man steady during the pummeling. Seems the black man was threatening the peace and harmony of the United States by sitting on a curb as an intoxicated nuisance. The officers’ superior seems to be claiming that the officers were acting in full accord with standard policy–and no doubt they were. For this intoxicated black man–who did not kill four people, and who did not flee to Mexico with his mom–had resisted the officers said, when they were handcuffing him. As the Nazis affirmed their virility by persecuting Jews, so we Americans affirm ours by persecuting black males–especially those face-down on the ground. We shouldn’t be blamed. It’s the way we were raised.